Day 3 is a picture of me and my friends. 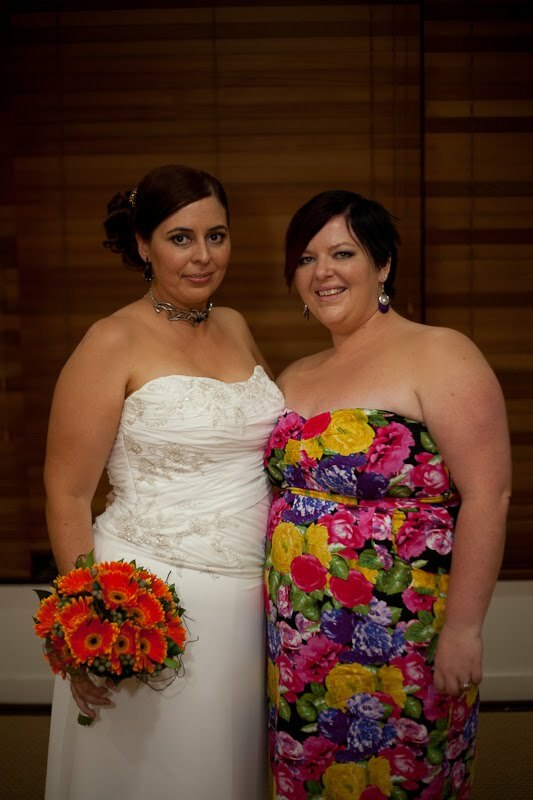 Well I'm sorry but it's another wedding pic! 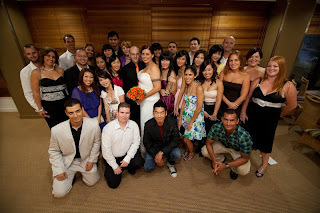 My hubby and I with all of my friends and their partners. Most of these are new friends (friends from work), but second from right is my best friend from high school, Helen. Isn't her dress fabulous? Helen was my best friend from Intermediate right through to our first year of Uni, after which I moved cities and we drifted out of touch. We got in touch again through Facebook and I discovered that she was living in Sydney. So when we got married there was no question that Helen and her partner would be there to celebrate with us. It was like those years we were out of contact never happened. I'm going to restrict myself to those two because I have to do another friends pic on Day 11!